When I first started to really play around with phones and get serious about them as a real 'investment' ... I knew I would hate cases. 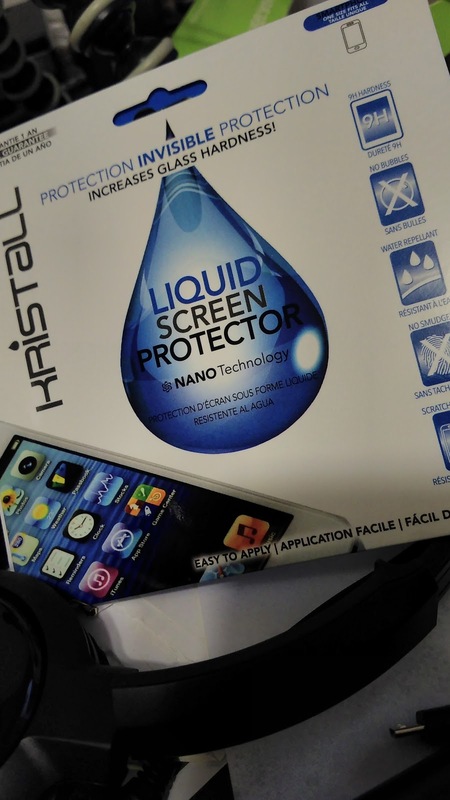 But I wanted to protect the phone, so I would look at screen protectors (nothing worse than being seeing a scratch on a device). But putting a screen protector on a phone is quite the hassle and headache. I used to just pay extra to have one of the store folks do it for me. Then I'd do research and look up methods on how to do it best. The best advice I got was from +Tom Gray when he'd suggest, just buy in bulk the cheaper ones, because then you could screw it up a few times. Still... that was a hassle. Then this came across my desk to review. I was somewhat ... skeptical, but I gave it a try, because if it did... it would super preferable than having to fudge with those little pieces of plastic or glass we put on the phones. I watched the video probably a dozen times before I set out to try it... and little did I realize, I didn't need to. Really the 6 simple steps on the back of the package couldn't be any clearer. Overall, I'm thoroughly impressed. For $25 you can buy the single use swab as I used or for about $40 you can buy a tablet sized swab - which if you think about it should be good for 2 devices (so a savings of $10 if you go that route. Kristall - Throw Away Your Old School Screen Protector from Kristall Official on Vimeo.